2013 Jan 05 Saturday, I was channel surfing on the TV and happened to tune into the movie “A Knight’s Tale” and although I missed the beginning, I did watch it to the end. What struck me was a scene where the knight (William) flashed back to his childhood where his father sends him off to be an apprentice and told him to watch and learn. I was emotionally moved by that comment and how the father was genuinely doing what he felt was best for his son. I began to write what I was remembering and feeling in my journal. Here is what I wrote. Those words reminded me of my father and what he said to me when he took me to school that first day. I couldn’t speak English (only German) and I was going to an English school. My father took me aside and told me that I should listen and learn, but he also added, and be like the other kids. Like the father in the movie, I felt that my father didn’t know what he was saying and how his words were to impact me in a negative way. I know he didn’t have unloving intent as he honestly felt that going to school was best for me and that I could do what he couldn’t do, and that if I learned and was educated, that I wouldn’t end up being a poor dirt farmer like he was. He had done all he could and now I had to move on and go to school, and that this was his way of showing me he loved me, of wanting a better life for me. In this moment, I miss him and wished that we could have been closer. I mean on a real level and not being close at a distance. I love you dad. Thank you. 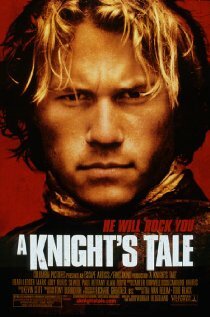 This entry was posted in Heart - Heartbreak, Love - Conditional, Personal and tagged A knight’s tale, dad, intent, kids, learn, listen, unloving, watch by johnrieger. Bookmark the permalink.